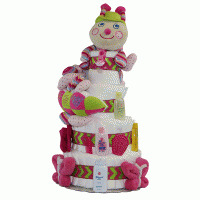 Once again we have cornered the market on "cute and cuddly" with an extraordinary two-piece gift set starring that market-going piggy of nursery-rhyme fame! This little piggy is more than happy to make a stop at your favorite newborn’s nursery for some ever-welcome snuggle time. 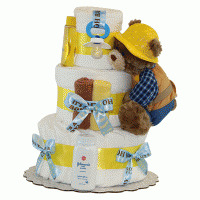 Our cream-colored, 14" tall, plush piggy has tan feet, with tan ears and a tan nose on a friendly face. Look down to see piggy’s tiny, tan belly button on a very squeezable belly. Around back you’ll find de-tail--a curly, tan pig tail, to be exact--just another delightful feature of this charming baby-buddy! 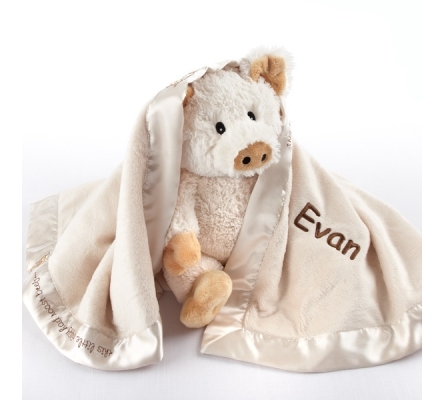 Piggy arrives wrapped in an oh, so soft blanket for baby, who’s gently surrounded by the classic nursery rhyme embroidered and artfully appliqud along the 31" x 40" blanket’s cream-colored satin trim. On the back is an open book with the complete nursery rhyme, ready to read! 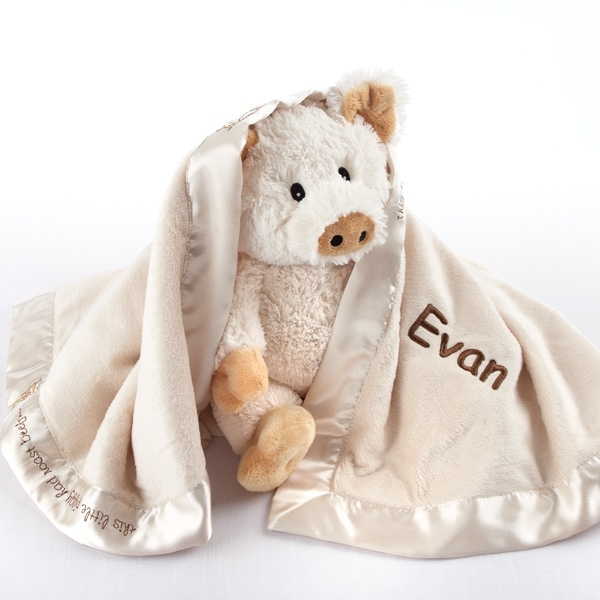 Both the little piggy and blanket are 100% polyester, including appliqus. 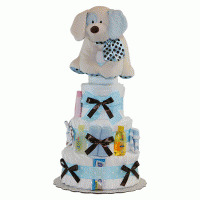 The gift box measures approximately 12" h x 10" w x 5 1/4" d.